In 2001 a famed oceanographer called Walter Munk at the Scripps Institution of Oceanography in La Jolla, California published an important paper that discussed another facet of sea-level rise. Melting glaciers at the poles releases more liquid water into the global system, but in doing so also remove billions of tonnes of ice from the poles and transfers this mass to the equator. 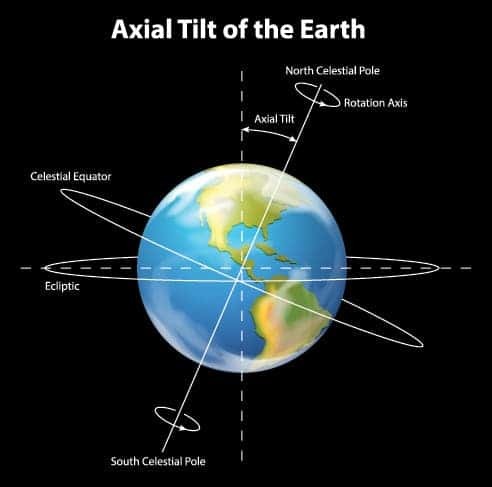 Physics tells us that this must slightly shift Earth’s axis and decrease the rate at which the planet spins. Munk reckoned in his paper that there must been a causal link between 20th century sea-level rise and changes in the planet’s spin. No such effect was found, puzzling scientists ever since. This is “Munk’s Enigma”. Earth’s rotation is gradually slowing down by around two thousandths of a second per day, which effectively lengthens the length of a day. Earlier this year, a leap second was added to maintain clocks around the world in sync. This was the second time, after 1972. There are numerous factors that contribute to this slowdown, among which the gravity pull from the Moon which acts like a lever break. Glacier melting must also be a contributing factor, though measurements have so far eluded scientists. Now, a team of researchers from Canada and the U.S. think they’ve cracked the puzzle. “The rise of sea level and the melting of glaciers during the 20th century is confirmed not only by some of the most dramatic changes in the Earth system — for example, catastrophic flooding events, droughts heat waves — but also in some of the most subtle — incredibly small changes in Earth’s rotation rate,” Mitrovica added. Mitrovica and Sabine Stanley, a professor of physics at the University of Toronto, claim that they have evidence that suggests sea-level rise does in fact slowdown Earth’s rotation. What eluded Munk in the first place were some wrong assumptions: 1) more precise measurements show glacier melting is about 30% less severe than Munk assumed 2) Munk used a faulty model of Earth’s internal structure 3) the interaction between Earth’s rocky mantle and the planet’s molten metal outer core was discounted. This last point proved to be very important. She went on to explain how this is akin to a hamster’s wheel. When the pet runs in one direction, the wheel spins in the opposite direction. This is the coupling effect. “We know that there have been changes in the magnetic field to suggest changes in the core’s rotation, and that means changes in the way we see things on the surface,” Mitrovica said. At the end, the researchers came up with neat calculations that confirm ongoing glacial melting and the resulting sea-level rise are affecting the Earth in ways that match theoretical predictions, but also empirical data like astronomical and geodesic data. “What we believe in regard to melting of glaciers in the 20th century is completely consistent with changes in Earth’s rotation measured by satellites and astronomical methods,” Mitrovica said. “This consistency was elusive for a few years, but now the enigma is resolved.